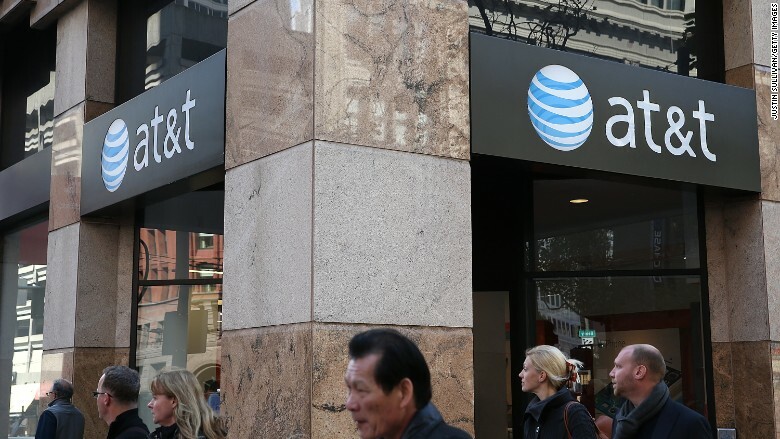 AT&T will start offering discounted internet access to low-income families for as low at $5 a month. Any home where at least one person receives food stamps will be eligible for the new program, called Access from AT&T. The offering is part of an agreement AT&T (T) made with the FCC as part of last year's DirectTV merger and will be available until 2020. The company is the latest to offer discounted internet to low-income households in the United States, joining Comcast (CCV), Google Fiber, and some local government and nonprofit. These programs help close the so-called "digital divide" for families who would otherwise be forced to rely on school connections or cell phones. A lack of reliable internet access can have countless negative implications, including for students who need it to complete homework and adults who are searching for jobs. In March, the FCC voted to expand its Lifeline program and add a $9.25 subsidy that could go toward broadband internet for low-income households. Another government initiative called ConnectALL wants to bring internet access to 20 million homes by 2020. Access from AT&T will offer 3Mbps connections for $5 a month, and faster 5Mbps or 10Mbps connections for $10 a month. All installation and equipment fees will also be waived. People don't actually get to choose their speed, they'll automatically be assigned the fastest available where they live. Though any connection might be an improvement for many homes, 10Mbps and under is still considered a slow connection. According to the FCC, a broadband connection is 25Mpbs and up. There will be data limits for people using the program, up to 600GB a month, and overage charges for anyone who uses more. To spread the word about the program, AT&T says it will work with community organizations on education. The pool of potential customers is deep. AT&T currently offers internet in 21 states, and there are 22 million families signed up for the Supplemental Nutrition Assistance Program, which offers food stamps.